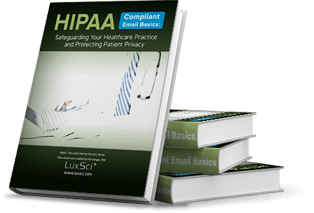 Escrow enables LuxSci SecureLineTM users to send secure email messages to anyone with an email address. The recipient then can access the message, download it, reply, save it, and delete it. The message remains available to the recipient until s/he deletes it, until it expires (you as the sender determine when that happens), or until the sender retracts it. The Escrow service verifies the identity of the recipient before it provides access to the waiting message. This is to help ensure that only the intended person can access the message content. There are two methods of verification available: "SecureSend Login" and "Question and Answer". Use of "Question and Answer" requires the sender to prepare the questions ahead of time and ensure that the recipients will be able to answer them. Recipients must be able to answer the questions and they may be different for different messages. Using "SecureSend Login" requires no setup on the part of the Sender, no special communication between the sender and recipient, and a couple of extra steps to access the first message. However, access to subsequent messages and messages from multiple senders is simplified over "Question and Answer". Most secure email portal pick up services use the actual email subject in the email sent informing people of the waiting message. This is very usable, but risky if your users may enter sensitive information in the subject. With SecureLineTM Escrow, you can optionally specify a fixed subject, such as "You have been sent a secure email message," for these messages, mitigating this risk. Override use of SecureSend Login for specific recipients using your Address Books. SecureLineTM Escrow allows you to track the receipt and viewing of messages by your recipients. Requested read receipts are always sent back. With SecureLineTM Escrow, you are able to retract a message (expire a message), effectively stopping a recipient from gaining any further access to the message content. Extend the expiration dates on messages so that recipients have more time to view them. SecureLineTM allows you to set up rules to automatically encrypt only certain messages based on keywords, phrases, and regular expressions that appear within the content. Bulk upload or use an API for uploading Escrow Questions and Answers for recipients into user Address Books. Configure account-wide, domain-wide, or per-user default Escrow Questions and Answers. (*) Branding Interfaces requires the purchase of Private Labeling. (*) Message Center requires the purchase of Premium Private Labeling. The servers are super fast, the WebMail responds quickly, and everything is secure - I couldn't be happier."